Greece will always have a special place in my heart. I decided that i wanted to visit the country in 2016. Came end 2015, major upheaval in my life, new job, new relationship status (i was briefly single). Then, a whirlwind 6 months later, dust was settled and everything fell into place (even the relationship part) and Greece happened! The universe has its plans for us really. So anyway, here's sharing highlights of the magical trip we took! This itinerary provides you with IMHO a comprehensive experience as you can get in 10 days. There's history, nature, sun, wine & dine, and city life. What more can you ask for right? Now read on. A good time to head to Greece is in the May - early June period, before the rest of Europe breaks for summer holidays. It's slightly off peak so accommodation is cheaper, but at the same time the ferry frequencies would have increased so it's more convenient for island hopping than when it's off peak. Fly into Athens on your choice of airline. Scoot flies to Athens direct now so that's pretty awesome. We took Qatar and it was only S$950/pax. Choose to spend time in Athens first, or to do it at the end (we did it at the end). We took a car from Athens to Delphi, and then Meteora, and dropped it off at Thessaloniki. It may not be the best thing to do because a one way car rental is A LOT more expensive. This costs $440 for 3 days. As we wanted to visit the islands, we decided to take a couple of domestic flights so that we could save some traveling time. From Thessaloniki, we took a flight to Crete island (in order to hike Samaria Gorge, S$150/pax), and then another flight from Santorini to Athens (S$200/pax). Between the Crete and Santorini, we took the ferry (S$100/pax). 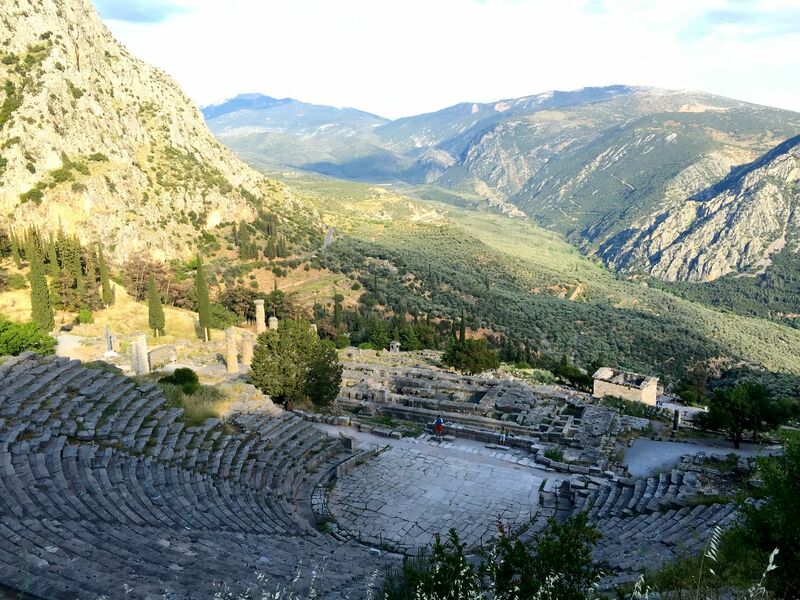 Delphi in ancient times was considered the center of the world, the place where heaven and earth met. There isn't much to see other than the ancient site. It makes for a nice afternoon stroll to stretch your legs from the drive. Read all about Delphi's history here. We stayed in the suite at Fedriades Delphi Hotel (amazing view from the tub and balcony), which is within walking distance to the archeological site. Restaurants are also readily available in this area. Basic European breakfast is served, Greek yogurt is always available! Meteora is a must visit for us. It presents nature's grandeur, history, architecture and culture/religion. The monasteries will amaze anyone, even non-believers. My advice is to take note of the opening hours of the monasteries that you want to visit. They are closed on different days of the week and they also close early. 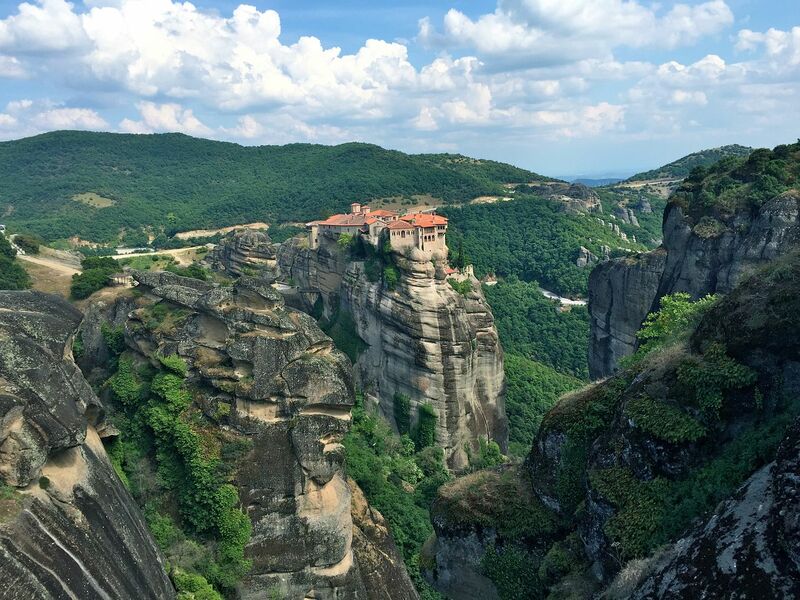 Find out more about Meteora Monasteries here. We stayed at Doupiani House in Kastraki which has a great view of the rocks. This is the view from our balcony. Gorgeous right? Note that it's a little farther from the town so you'll need to drive. The rooms are basic but comfortable. Crete was one of the highlights of our trip! 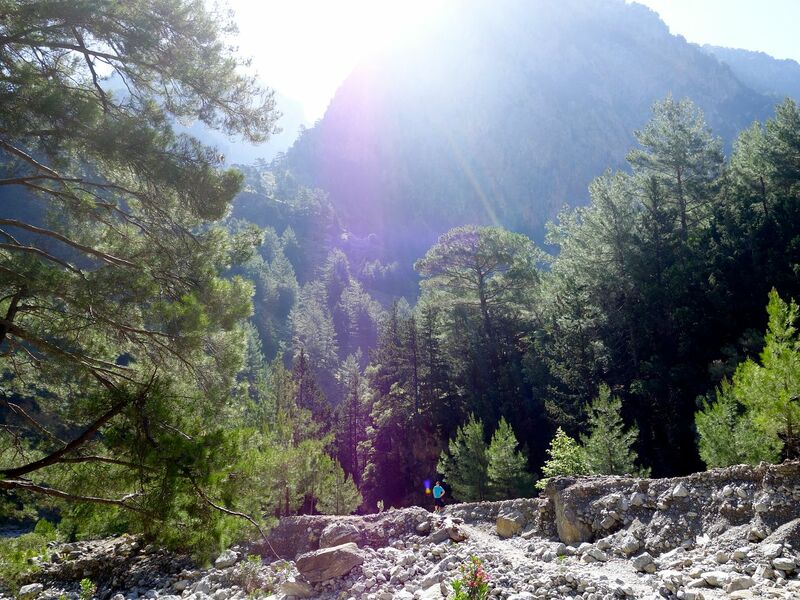 If you love nature, you should definitely check out Samaria Gorge, which is Europe’s largest gorge. This National Park is 18km long with unbelievable natural beauty. Spend 4 - 6 hours walking through the gorge (it is mostly downhill and steep at the start). We started at approx 730am and ended at 130pm. Remember to pack lots of snacks for picnics along the way. Fresh spring water is available at the various rest stops and free for refills. 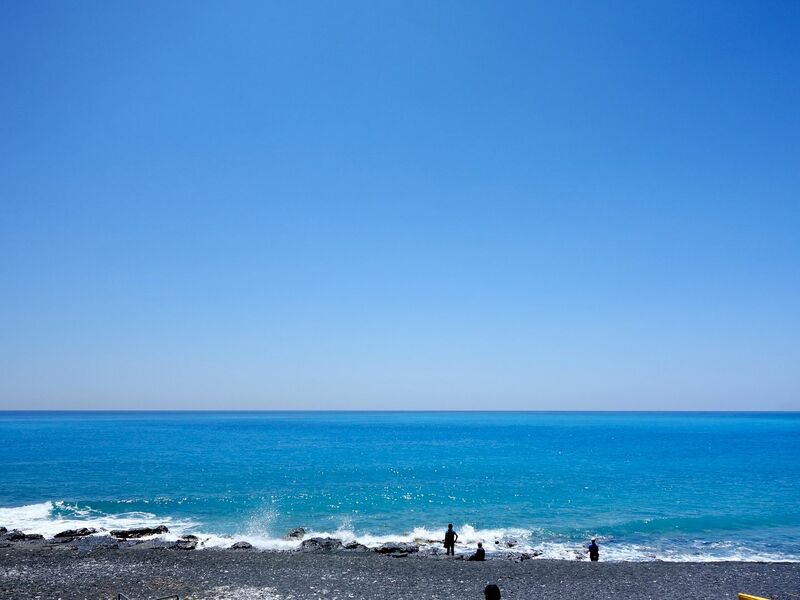 Agia Roumeli village is where the walk ends and you can enjoy a swim in the Libyan Sea! 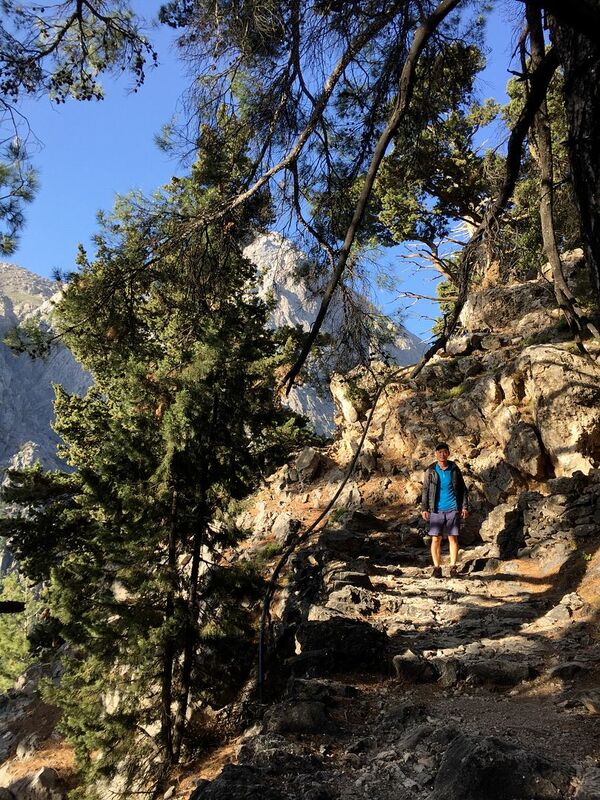 The easiest way to trek Samaria Gorge is to sign up for a 'tour' and they will settle all the transfers (pick up and ferry) for you. The trek is non guided but you wouldn't lose your way for sure. We stayed in Chania for easy access to Samaria Gorge. Cretan food is also superb. We had our best meal at To Maridaki, which serves the freshest seafood we've eaten in Greece! The chefs are all Greek grandmothers btw. Gosh that grilled squid and fish.. If you have more time in Crete, do check out the Cretan wineries, and get their olive oil! We stayed at Kydon, The Heart City Hotel in Chania, which is walking distance to To Maridaki. It was a good idea #becausewine, and the restaurant served us a parting shot of raki (an aniseed-flavored vodka) before we left. We had a giggly walk back. It's good to note that the breakfast spread at Kydon is quite amazing (compared to the regular European standard). Heraklion in comparison is more touristy and you can get your dose of 'city life' here, especially around the Lion Square area. To get from Chania to Heraklion, we decided to hop on a morning tour to the Palace of Knossos (with our bags), and requested to be dropped off in Heraklion. The morning was well spent learning about the Minoans (and Minotaur), our guide was very informative. There are plenty of tours offered in the city and we booked one when we were in Chania. In Heraklion, we stayed at Kastro Hotel, a small hotel that is a 3 min walk to Lion's square. It's super basic but comfortable enough. We chose this so we didn't have to wake crazy early to catch our ferry to Santorini (the only is a 5min taxi ride away from the ferry terminal). From Crete to Santorini, we took Hellenic Seaways. And then it was SANTORINI OF COURSE! I don't care how touristy it may be. How can you go to Greece and not visit Santorini right? Don't give me that BS about 'oh, that's for tourist'. The most important thing is that you have fun on your holiday. So on that, YES GO TO SANTORINI. 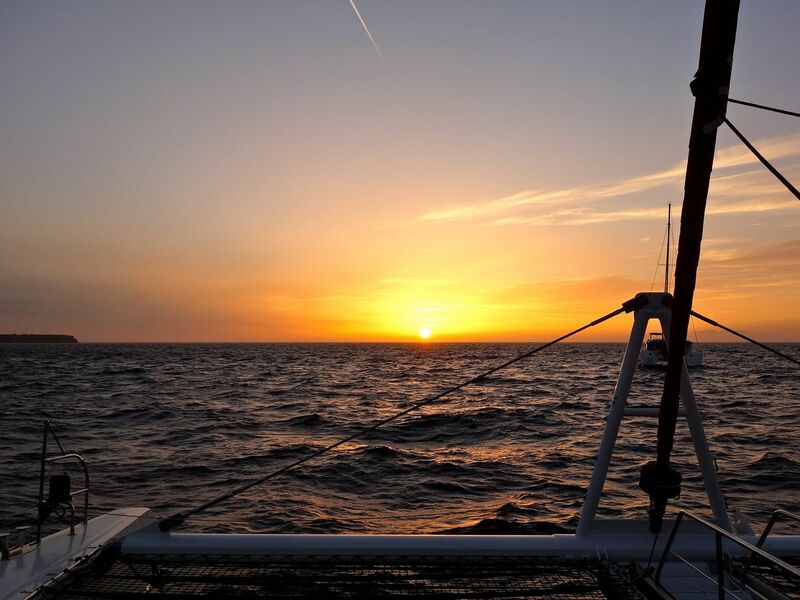 To top off that touristy thing, go catch a sunset cruise. We chose this because we wanted to explore the island a bit without the hassle. The cruise brought us to the volcano and hot springs (we swam in it), and then we were off to the Volcanic Red beach, White Beach, and Mesa Pigadia for more snorkelling. A Greek BBQ was served on board and it was quite delicious. The highlight was of course the Oia sunset from the waters. We took our cruise with the Santorini Yachting Club, and our hotel helped book us on it. They have various fleets and price varies depending on how private the cruise is. The good thing about going slightly off peak is that you get the same privacy on a bigger boat at a cheaper rate! Prices start from 95€ per pax (for max capacity of 55 pax). Whatever you do, make time for some wine tasting, especially their specialty dessert Vinsanto! Santos Winery is highly recommended. They are super generous with their tasting portions (80ml each) and the tastings come with snacks too! We were absolutely stuffed. We went with a 12 wine flight and it was only 27€! We also visited Domaine Sigalas which has better food than wines i feel. Art Space is another art gallery-museum-winery that I'd have loved to check out. We stayed at Esperas Hotel in Oia, Santorini which is the best accommodation we stayed at in Greece! 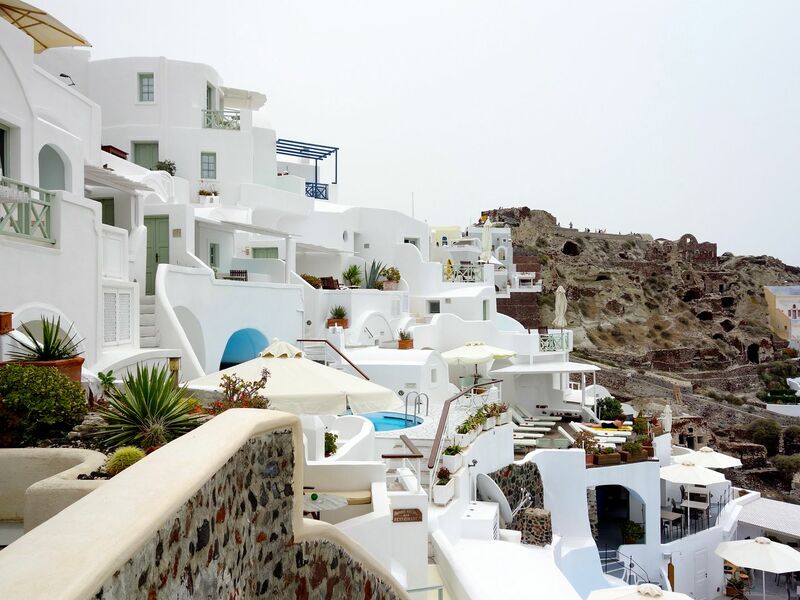 I'd say splurge on a nice place in Santorini, the view is definitely worth it. We could enjoy the gorgeous Santorini sunset from our balcony. There's also the view of the caldera. Amoudi Bay is a short walk downhill and you can get seafood from one of the restaurants. We had our seafood fix at Katina's. Also check out Melatini for some delicious tapas in Oia. 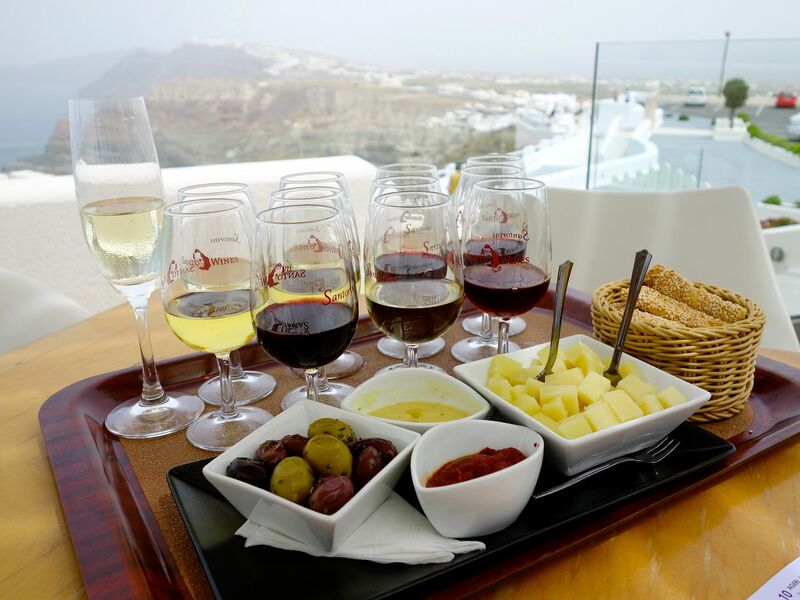 For more food and buzz, head back to Fira. And then it was back to Athens! There are plenty of ancient sites so i'll leave it to you to pick and choose the ones you wanna visit. I'd recommend that you do the Acropolis site first, and follow up with a visit to the museum. 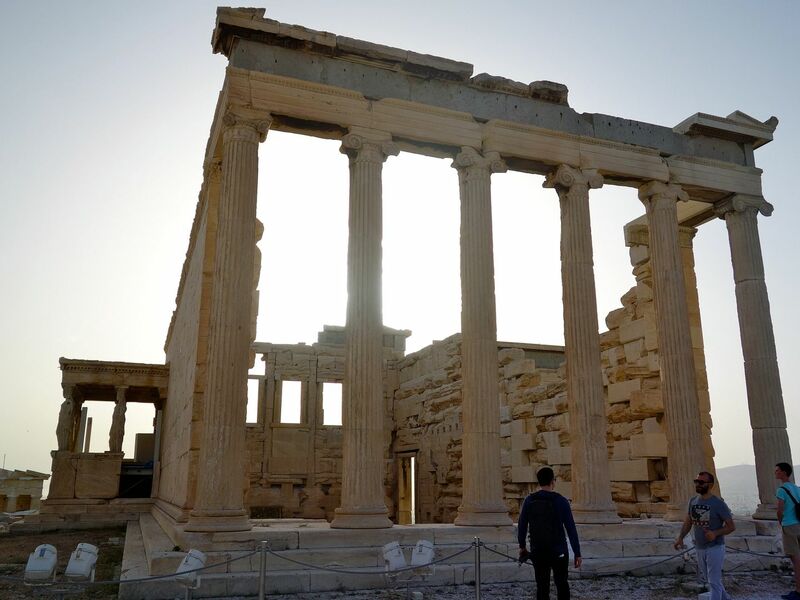 Of course, visit the Parthenon and its surrounding sites. 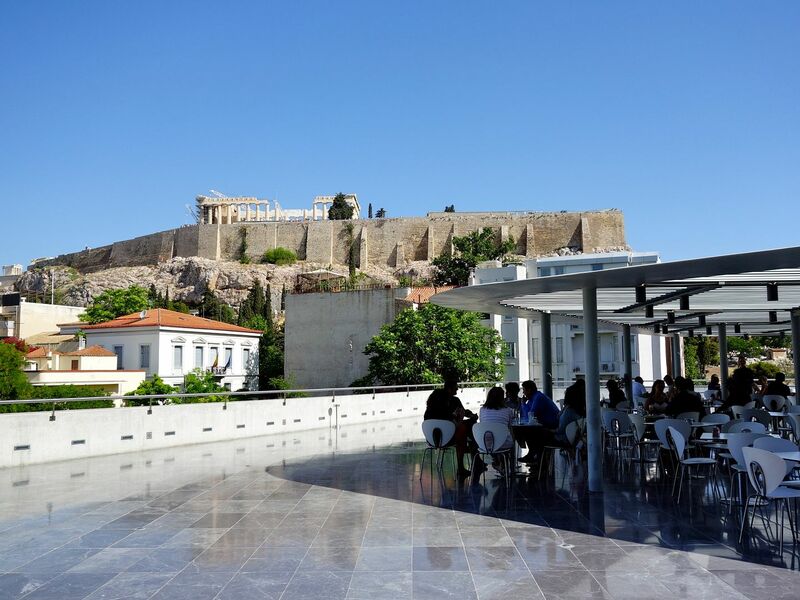 Plenty of amazing restaurants in Athens to check out. See my pins below! Make sure you make a reservation or else you'll not be able to eat at the popular places.